This wooden machine has a sturdy wooden construction ideal for classroom use. 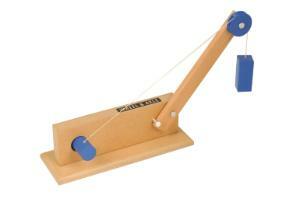 This apparatus can model how a crane works as well as several other uses for a wheel an axle. Includes an instruction manual to facilitate student and teacher use of the apparatus.